Understanding Co-Ops, Part 1: What’s a Co-op? Co-op buildings are the most common type of housing in Manhattan, but are rare outside of New York City. There are three times as many co-ops as condos in Manhattan. This is why it’s especially important to work with a real estate broker and attorney who are familiar with New York City. Co-ops are apartment buildings owned by a corporation. Rather than buying the apartment itself, you are buying shares of stock in the corporation that correspond to your apartment unit. Rather than a deed, you have a stock certificate. The corporation pays real estate taxes, building maintenance, doorman and superintendent salaries, and upgrades and any underlying mortgage on the building. Your maintenance payment corresponds to your portion of these expenses, based on how many shares of the corporation that you own. Typically, much of the maintenance fee is tax-deductable because it covers real estate taxes and interest payments on any underlying mortgage. Your use of the apartment is subject to the terms of a proprietary lease. Subletting your apartment, getting a pet and making renovations all typically require board approval. Co-op buildings tend to have a community atmosphere, since they work together to elect the Board of Directors that run the building. This board interviews all prospective owners, protecting the other tenants by allowing only qualified candidates to buy into the corporation. As a result, many co-op boards require a large down payment. Some buildings don’t allow any financing at all. Typically, they expect that the buyer’s salary is at least four times their housing expenses (maintenance and mortgage). They may want to see a certain amount of liquid assets available after closing. Your broker should be able to tell you about the building’s financial requirements. Co-op buildings may also have strict policies regarding subletting. They also may require a “flip tax” to cover the expenses of approving new share owners. In order to buy a co-op apartment, you will have to submit an application to the board and attend an interview before you can close on the sale. The application and interview can be time-consuming and intrusive. You may have to be flexible about your move-in date, because it may be hard to predict how long the board approval process will take. Are co-ops worth the hassle? Many New Yorkers think so. Numerous co-ops are gorgeous pre-war buildings with generous layouts and architectural details. They hold desirable locations near parks and transportation. Co-ops may have fantastic views and luxury amenities. Since most Manhattan buildings are co-ops, being able to own your dream home requires meeting the requirements of a co-op board. Finding the right mortgage is almost as important as choosing the right property. If you’re thinking of buying, read on to learn some of the basics. Before you start looking, be sure to know what you can afford. Even if you don’t keep a budget, it can be helpful to track your expenses for a month and factor in annual costs to determine how much you can afford to spend on a home. We highly recommend getting pre-qualified for a loan when you start looking. This way you will know what your budget is from the outset. Pre-qualification will let you know approximately how much financing you can get. To be pre-approved for a loan, a lender will check your credit, and verify your financial and employment information. Having pre-approval is a strong mark in your favor when making an offer. How can you get the best mortgage? By improving your credit score, increasing your income, save for a large down-payment, reduce your debt, and make sure you’re not paying more than the property is appraised for. Shop around for your mortgage – compare costs, interest rates, and discount points. Are you afraid that you don’t qualify for a mortgage? There are a number of ways to deal with that. Remember that lenders have different requirements, so one may reject your application while another will approve your loan. People who are self-employed report having a hard time finding loans. Don’t give up! Know what to expect and get guidance on how to find a lender. Investopedia gives us information on 5 Risky Mortgage Types to Avoid. 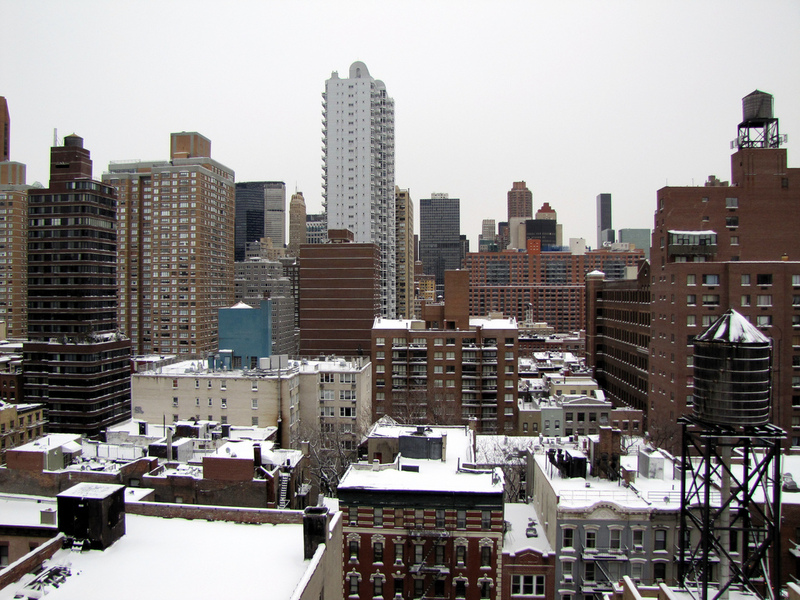 New York City is unique because of the number of co-ops on the market. Even if you’ve bought property before, understanding the advantages and disadvantages of co-ops can be confusing. There are some financing options that are often overlooked. These include borrowing from your life insurance policy or IRA and using seller financing. After the closing, remember to keep receipts for home improvements! The cost of improvements can lower your basis in the home and will lower your taxable income when you eventually sell the home. Another important thing to remember is getting your home properly insured. We have a selection of trusted mortgage brokers and other professionals that we rely on. Remember, we’re here to guide you every step of the way. I frequently have clients uptown who ask about moving downtown. They’re tempted to move to neighborhoods like Gramercy, Union Square, east/west village, Greenwich Village, Soho, or Tribeca because of the night-life, shopping, and a number of other reasons. Rental buildings with doormen are in short supply downtown. Because they are in such demand, they tend to be much more expensive. Most of them do not allow pressurized walls or permit roommates to share one-bedroom apartments. Condos and Co-ops: Most doormen building downtown are privately owned. Most owners don’t want to deal with the hassle of rental paperwork, meaning you will rarely deal directly with the owner and will have to pay the broker fee (usually 15%) as well as the board fees. If you want to rent in a co-op building you will also have to pass a board interview. You can rent directly from an owner from Craiglist, but finding an apartment on your own can be time-consuming and risky. Value: Neighborhoods like Murray Hill, Midtown, the Upper West Side and the Upper East Side are flush with modern, newly renovated apartments. The price you pay for a luxury doorman building uptown will likely get you a small, un-renovated walk-up downtown. There are always people willing to make these sacrifices to live in a high-profile neighborhood, so owners have less motivation to maintain and upgrade apartments. In summary: Doormen building are more expensive and most likely will include fees and higher rent, unless you are willing to take the extra steps. Most will be small and not in the best condition. You will pay mainly for location. If you aren’t willing to give up comfort for location or if you are a young professional who goes out once or twice a week downtown you may be better off finding (or renewing your lease on) a nice apartment uptown. It’s a lot less expensive to take a cab than to find a comparable apartment downtown. Location is important, but this is your home and even a busy professional will spend a significant amount of time there.